JCI apparently doesn't understand how to make money with a mobile data network. Conventional wisdom holds that customers should pay premium prices for redundant services. Need a data plan for a tablet? That'll be an additional 50 bucks, thank you. So, I don't know what the folks at JCE were thinking when they announced the equivalent of a "shared minutes" scheme, with 2 SIMs using the same data plan. My goodness, they're going to ruin it for the whole industry. 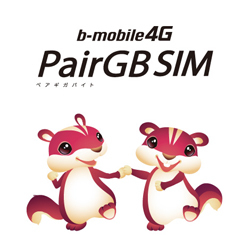 A 2 GB LTE "4G" data plan is split between two separate SIM cards for ¥2,970/month, less than the cost of their 1 GB flat rate 3G SIM. Regular size and microSIMs can be mixed. Any 3G devices will work at normal speeds. These SIMs are data-only and available from either Amazon or Yodobashi. A retail package containing two SIM cards costs ¥3,150. At the time of purchase, the SIMs are unactivated and have no charge. A credit card must be used to add a service plan for ¥2,970/month. If 2 GB is exceed in a month, additional data can be added at ¥525/100 MB. As far as I can tell, the SIMs are permanently deactivated if service is cancelled. This would be excellent for a pair of secondary data devices, such as two tablets or handsets that don't need voice, and is perfect for a couple where one person uses much less data than the other. 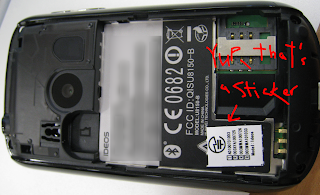 Remember the SC-04D Galaxy Nexus that was sent in for repair? There was a concern that the owner would be given a different handset because of the lack of parts. Well, the phone is back and the results are in. The phone is not being repaired, and the owner is not receiving a new device. Turns out that water got into the the USB connector and fried it. There have been concerns in the past that the typical moisture indicators are too sensitive, and people have tried to fool the makers by tampering with the indicators. Well, indicators are irrelevant with the phone is returned to you with photomicrographs documenting the damage. Runners be warned; sweat and open USB ports are not a good combination. The former owner of this phone is now using a water-resistant galapagos smartphone. 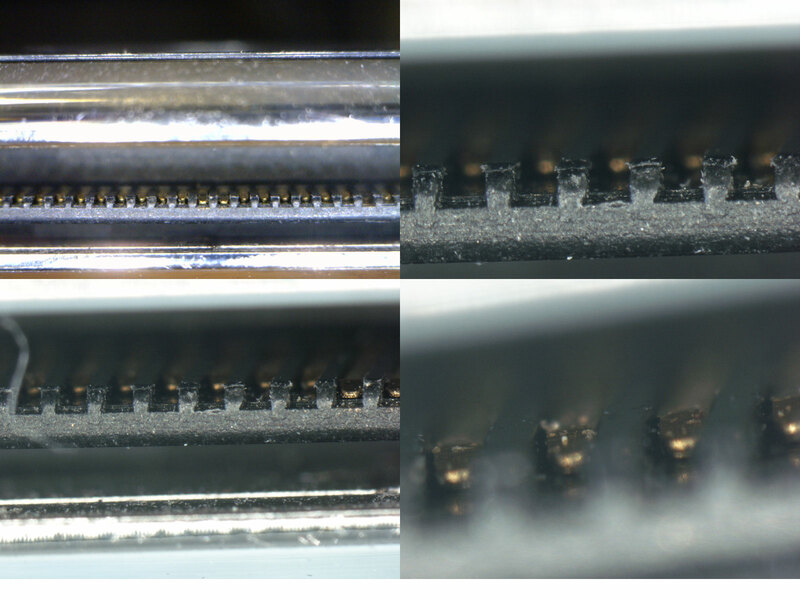 For comparison, here are photomicrographs that I took of a broken iPod Touch. It stopped charging about 3 months out of warranty. The connector below is comparatively clean. When I get a chance, I'll update this post with my own photos of the Galaxy Nexus, which is still usable with a dock, by the way. Broken iPod Touch connector port. 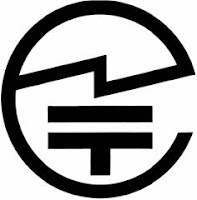 I've mentioned on this blog numerous times in numerous places that it is illegal to use wireless devices that do not display the MIC certification mark. This must be on the screen, or physically stamped to the phone. 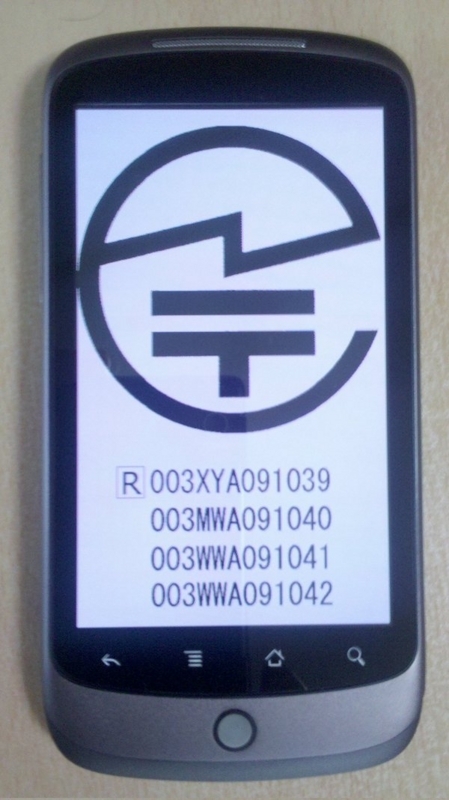 (A sticker is apparently OK.) Even if a phone is certified, like the Nexus One (PB99100), it still must display the mark to be legally used. 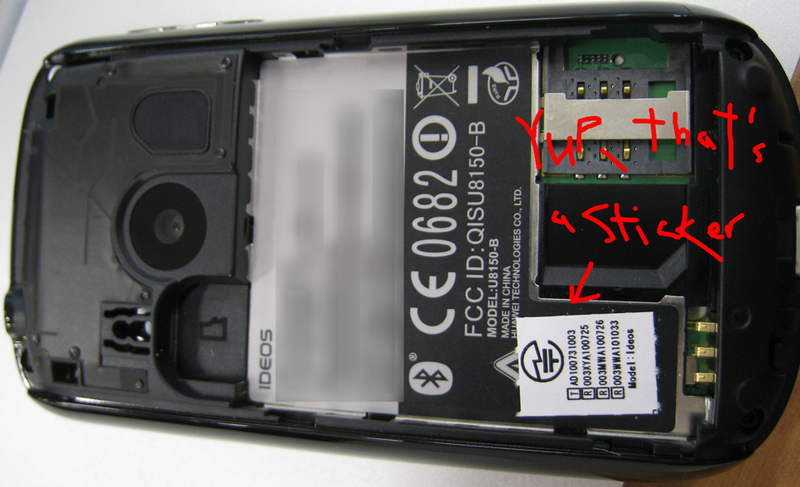 Fortunately, Google got their act together and not only got the Nexus S certified, but also got around to stamping it as such. Recently spotted in a Kansai train is this AKB48 poster reminding commuters that only wireless devices that display the MIC "certification mark" are allowed for usage in Japan. You'll notice that this mentions wireless devices in general, not mobile phones specifically. Typically, something like this would be most likely targeting CB radio users. However, there is a thriving gray market for overseas wireless devices in places like Akihabara. 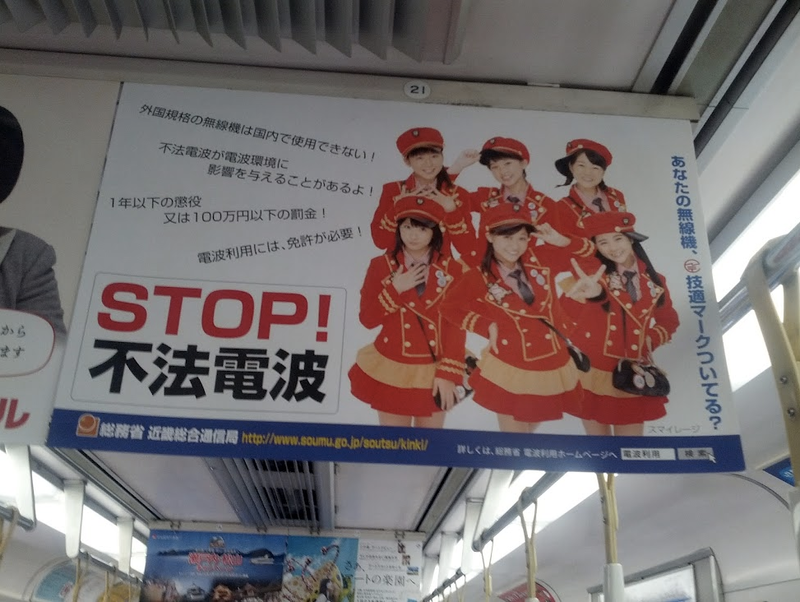 Using a popular idol group for a poster on a commuter train indicates that, for some reason, the usage of uncertified radio gear by the general public is now on the MIC's radar. Perhaps more people are buying smartphones overseas. Perhaps domestic makers fear competition from gray market phones. Perhaps this isn't targeting phones at all. Will the average foreigner using a gray market phone have to worry about being arrested? Probably not. Does that make it legal? Certainly not. This mark must be accompanied with the certification numbers. Here is an example of what SHOULD HAVE BEEN stamped on the Nexus One. I am unsure if the law requires that only the manufacturer or importer affix the proper stamp with the proper certifications numbers.